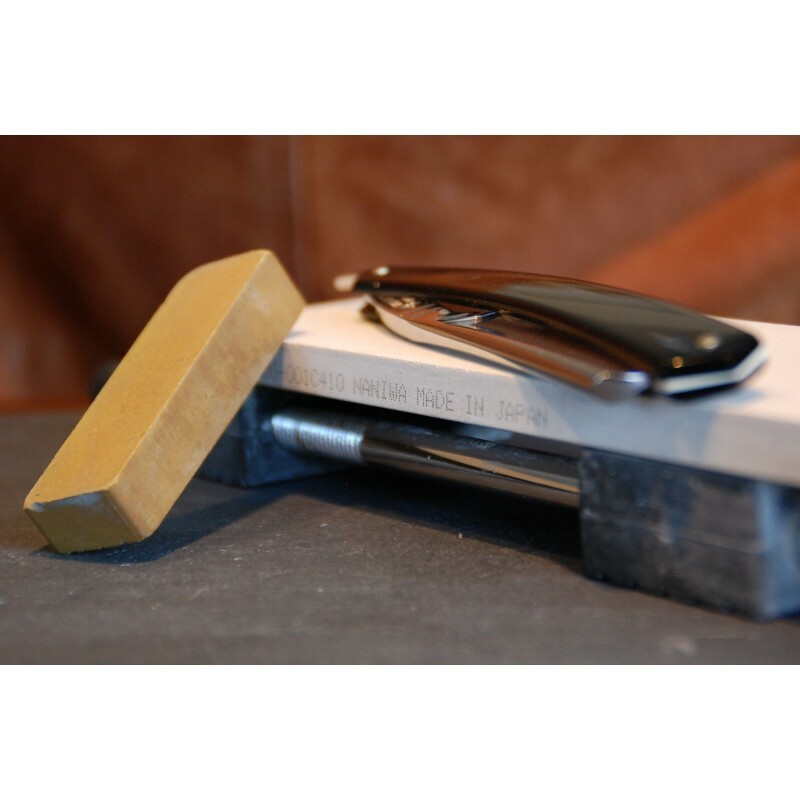 This service is the honing and stropping of a straight razor to restore a dulled edge so it is “shave-ready” and its return to a UK location using a service which provides up to £50 compensation in case of loss or damage in transit. Once booked please wrap carefully, include your name and post to us. This service is the honing and stropping of a straight razor to restore a dulled edge so it is “shave-ready” and its return to a UK location using a service which provides up to £50 compensation in case of loss or damage in transit. The edge should be free from chips, cracks or dings as this service does NOT cover remedying such faults or edges that are ‘table-knife’ blunt. It also does not cover edges that are badly corroded and that would need ‘cutting back’ to be restored to usable condition. Please ensure that the razor is not on our list of excluded brands. If a razor is sent to us which is of an excluded type or which has an obvious fault we will return it and refund the fee less postage and packaging cost. Sometimes we find that a fault only becomes apparent when the razor is actually on the hone. In these circumstances we will return it and refund 50% of the fee to reflect the time spent and the postage and packaging cost. If using a courier please contact us for an alternative address.